If you’re looking to buy a new car, our Alfa Romeo dealership near Indianapolis, IN offers the latest Alfa Romeo vehicles for you to peruse. 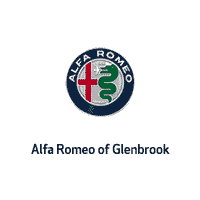 Alfa Romeo of Glenbrook is happy to host the sensational Alfa Romeo Giulia along with the sleek Alfa Romeo Stelvio. So, why buy new over pre-owned? There are many reasons drivers love buying a new car. One significant reason is the comfort of knowing that no one else has owned it, which also means there’s no accident or service history—plus, that new car smell is hard to beat. Fresh-off-the-line vehicles also come with a nearly non-existent mileage reading, save the mileage accumulated from test drives. An additional perk is that our new Alfa Romeo models feature the newest technologies, whether related to entertainment or safety, like blind-spot monitoring and lane-departure alerts that help with visibility and protection. Contact our local Fort Wayne, IN Alfa Romeo dealership to learn more about the benefits of buying a new car! We are proud to host an inventory of new models, such as the 2019 Alfa Romeo Stelvio. With three trims to choose from, including the top-level Quadrifoglio that houses a 500-horsepower 2.9-liter V6 engine, this new SUV is sure to meet the needs of all drivers. Whether you seek versatility or luxury, the Stelvio blends both in one stunning package. With its sleek exterior and updated interior features, like Apple CarPlay™/Android Auto™ capability, this vehicle is great for both families and solo adventurers alike. The Alfa Romeo Giulia is another model we have for sale on our lot. This luxury vehicle is an elegantly designed sedan that truly sets the standard. It offers both all-wheel and rear-wheel drive. Its near-perfect 50/50 weight distribution delivers an agile ride, while the drive mode selector creates a customized ride based on current road conditions; choose Dynamic, Natural, or Advanced Efficiency. For more information about the new cars we have in stock, give us a call at 260-702-9248 or visit our Alfa Romeo dealership near Indianapolis. We are located at 100 Coliseum Blvd and look forward to working with you soon!